HomeWorking it outHow to let go of feeling irritated. How to let go of feeling irritated. Feeling irritated? Me too? Feeling irritated can be seductive and compelling. It creeps around and inflames us, leaving us stressed, angry and breathless. What to do? Felling irritated is a symptom of something. A sign that something is going on, that is best understood and dealt with before it turns into resentment, anger, aggression or even self-loathing. Things I cannot do much about. Stuff that is unnecessary and unfair. There is much tragedy in the world and in our lives. We all have issues that, when they come knocking on our door, will bother us. We may not realise it immediately, or even realise it at all. That is when feeling irritated can become tricky. Those irritating issues won’t necessarily throw us into anger and uncontrollable fury or rage. But they will touch that place in us, where we have some unresolved ‘stuff’ or an emotional wound. And when it happens, the old feelings will be triggered again. Some people get very irritated, if the actions of others invade their personal space – noise, personal habits, ignoring your privacy. Or we may feel irritated when others behave as if we did not exist. And it may be double or triple bother, when we feel there is little way of having a sensible conversation about it. Because they will not listen. We may end up feeling powerless. 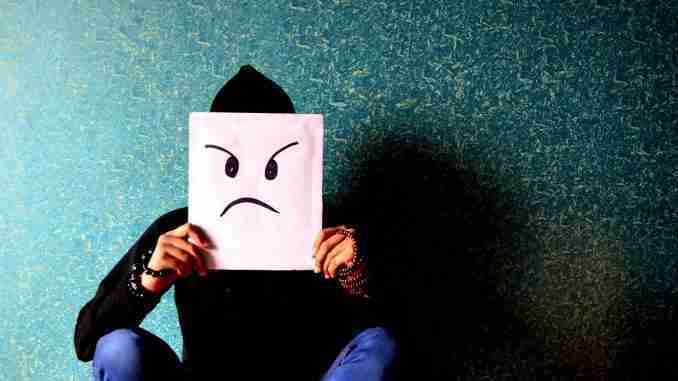 Anger: For some people these situations can start unleashing anger and even aggression, which is sometimes taken out on the other, there and then, or on the next best person. Perhaps the feelings are taken home and acted out there. Irritation: For others the irritation feeling sets in. It stays inside, eating away at our inner balance, composure, focus, wellbeing and a lot else. The bother feeling can fester into irritability and frustration. Resentment is waste of good energy. How to let it go. Read More. I feel irritated; right now; really irritated. I have been for a while and I have not been able to put my finger on why. It is bubbling away, day and night. My chest hurts, I am in a bad mood and feel stressed. When I notice that I feel irritated, I switch my mental and emotional radar to ‘extra sensitive’ mode. I quietly observe myself and what is happening, to see whether I can pick up the latest irritation trigger. This can go on for days, more or less. Sooner or later, my gut tells me what it is about. “Gotcha!” And there it was. I overheard something, and ‘bang’, the irritation spiked. I felt it in my stomach, in my chest, in my throat. I go into my library of memories – recent, old and very old. What does what just happened remind me of? What has happened recently or longer ago, that I have not yet made peace with? Eventually, I find the connection to my stuff that has been activated (eg you may have felt excluded, devalued, humiliated etc). I feel irritated and I know why. Now, what am I going to do with all that? Sulk and suffer in silence? Have it out and go on the attack? Have a quiet word? Is it worth it, or is it not? 5. How did I deal with my irritation? I decided to let it go. I refuse to be irritated, and it feels empowering and that helps emotional healing. The little self-righteous ‘I am irritated’ itch is still there and I acknowledge it with compassion and an open heart. The old wound is still there, and that is what it is like. I have got to take extra care. Feeling safe at home during times of uncertainty and change – how?